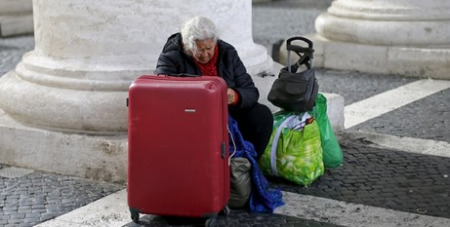 Rome's immigrants, poor, elderly and marginalised will get front-row VIP treatment at an upcoming Vatican charity concert, while benefactors will be seated in the back, reports the Catholic News Service in NCR. The charity benefit, to be held May 14 in the Vatican's Paul VI hall, will raise money for the Papal Almoner's Office. Local charitable organisations and parishes will be bringing about 2,000 people to the concert -- people without homes, refugees, immigrants, and families and youth experiencing difficult situations, organisers said at a Vatican news conference yesterday. Those people will be given "a place of honour" at the front of the audience hall because "in them is Jesus and for him we reserve the front row," said Msgr Diego Giovanni Ravelli, head of the Almoner's Office. Established in 1409, the Almoner's Office is the oldest existing Papal charity and allocates small donations to individuals requesting assistance with expenses such as medical or utility bills and rent. The concert will be an opera based on Dante Alighieri's The Divine Comedy. This year is the 750th anniversary of the medieval Italian poet's birth.